We've seen a lot of amazing stuff come out of Intermot 2018. News out of Cologne has been full of new bikes that have blown our collective socks off. Some, like Indian's stunning FTR 1200, we've been waiting for forever. Others, like Suzuki's surprising Katana reboot and the phenomenal SV650X, we didn't know we wanted until we saw them. As is the case with any large bike show like Intermot or EICMA, these big announcements by major OEMs tend to overshadow products from lesser-known or non-traditional sources. For example, the biggest story out of Intermot 2018 is a military prototype developed by a Japanese-American partnership that just may change the way we look at combat mobility. Introducing the MOSPEADA Project. Developed by the Japanese engineering and design firm AramakiTech in cooperation with Boston Dynamics, the MOSPEADA—which stands for Military Operation Soldier Protection Emergency Aviation Drive Armor, the most ridiculous backronym since the U.S.A.F rolled out its REDHORSE combat engineers in the 60s—is a combination survival and armed reconnaissance vehicle. Inspired by both the late70s/early 80s Japanese superbikes and mecha anime of lead designer Shinji Aramaki's youth, the MOSPEADA uses cutting-edge variable robotics technology developed by Boston Dynamics to create a powerful, versatile, modular vehicle for the modern military. What's variable technology, you ask? 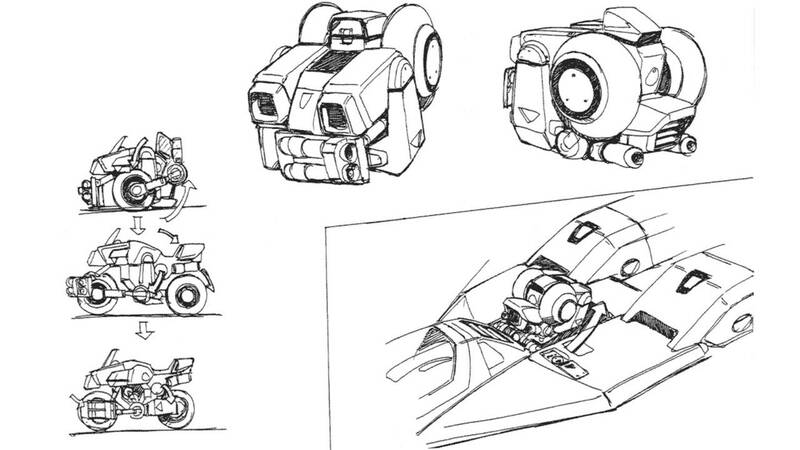 Without getting too far into the highly-technical details, many of which are classified, variable technology allows a vehicle to actually transform into different modes. In MOSPEADA's case, its primary mode is a fast, lightweight, all-terrain motorcycle. With variable technology, however, it can fold up into a small cube that's easily stowed away in larger vehicles or aircraft or into a powered exoskeleton for the rider. 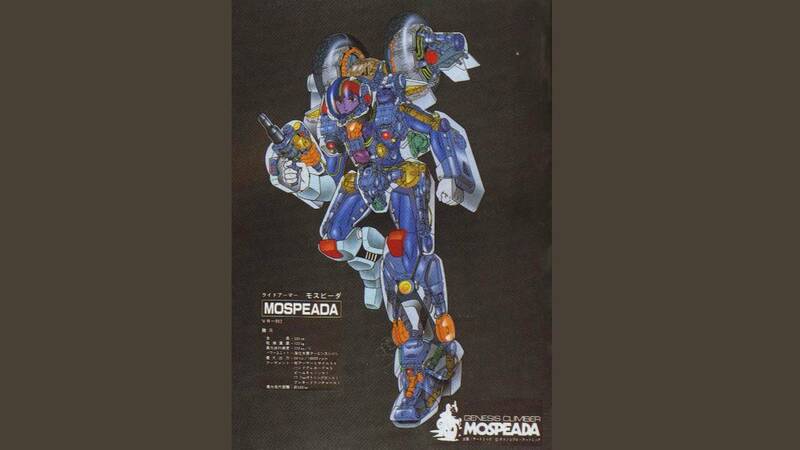 That's right, MOSPEADA is not just a motorcycle, it's also a suit of light infantry powered armor. 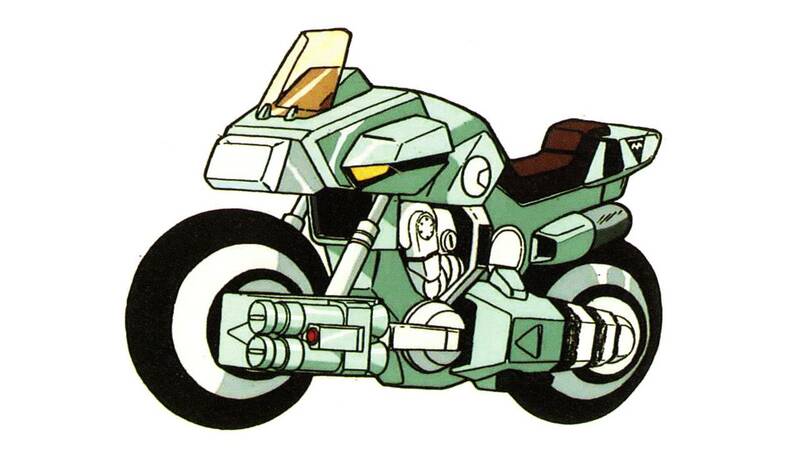 A full MOSPEADA system is made up of two parts—the vehicle itself and a suit of high-tech body armor worn by the rider. The body armor consists of a form-fitting bodysuit, gloves, and boots made from a Kevlar/ballistic foil-fiber mesh designed especially for the project. The suit is equipped with a built-in heat exchanger system to maintain a comfortable temperature for the rider and uses revolutionary kinetic energy generators to provide power for the suit's onboard systems (clocks, sensors, helmet-mounted comms, etc.). 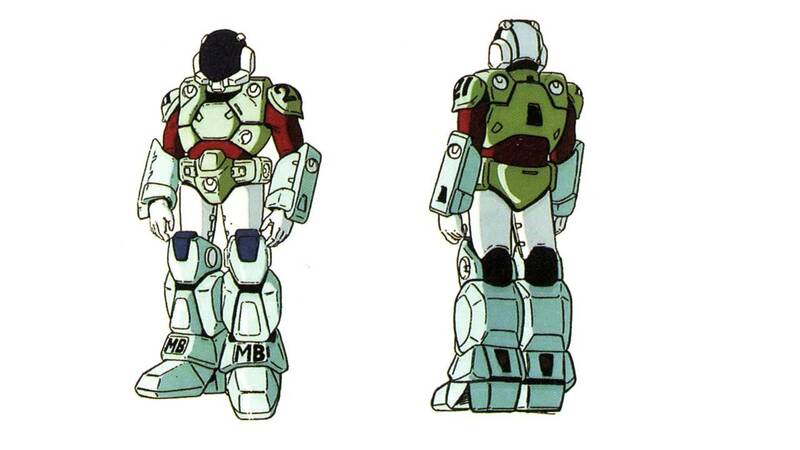 Over the "unisuit", the rider wears lightweight, ceramic-armored plates that include a torso-covering clamshell, gauntlets, pelvis guard, thigh protectors, and heavy armored boots. The armored plates are equipped with attachment points to which the vehicle connects in exoskeleton mode. MOSPEADA's modular-style helmet is a smart helmet designed by Arai helmets in association with various Japanese defense companies. It is equipped with a full military-spec comms system, a heads-up display, audio and visual enhancements, and is even DOT, Snell, and ECE approved. It can connect to the unisuit to create a sealed unit that, when worn with the ceramic plates, is fireproof, can stop rounds up to 7.62x39mm is resistant to nuclear, biological, and chemical agents. 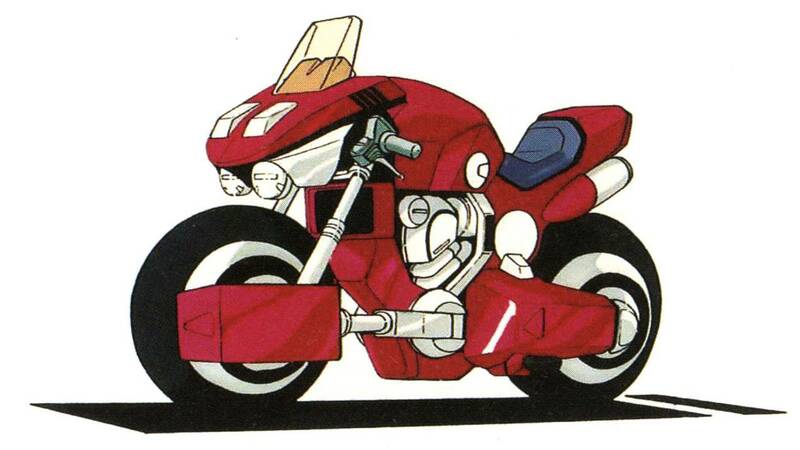 Then there's the MOSPEADA vehicle itself, a naked-style bike clearly influenced by first-generation Japanese superbikes, specifically Suzuki's OG Katana. At a little over 80 inches long and weighing just shy of 400 pounds dry, MOSPEADA is a surprisingly small vehicle. 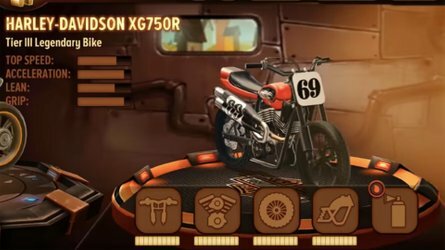 The heart of the bike is a small but powerful multi-fuel turbine mated to a heavy-duty eight-speed dual-clutch transmission. 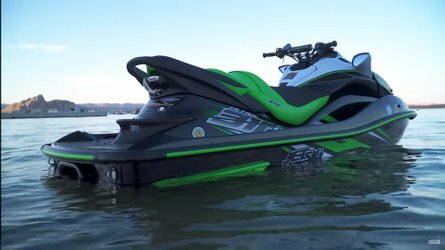 The turbine can run on anything combustible and puts down an incredible 300 horsepower according to AramakiTech. The bike's top speed is classified, but sources suggest that it's somewhere approaching 200 miles-per-hour on flat, solid ground and a more sedate 50 or 60 mph over broken terrain. Power is transmitted to both wheels—shod in custom Bridgestone semi-solid run-flats with onboard sensors and pressure adjustment systems developed for the MOSPEADA project—via sturdy driveshafts and two separate final drive systems. Front brakes are a pair of powerful Brembo four-piston monoblock calipers gripping radially-mounted, semi-floating 330mm rotors and the rear brake is a 250mm rotor stopped by a single opposed-piston caliper. Rear suspension is a top of the line Öhlins monoshock and the front suspension is a proprietary system that combines elements of both BMW's telelever suspension and hub-centered steering/front swingarm system. 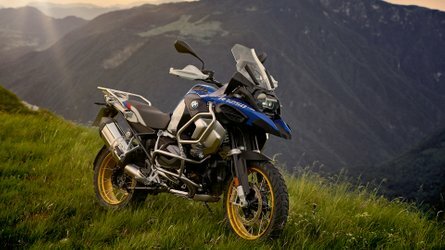 Both are active, computer-controlled systems and the bike is equipped with dual-channel ABS, traction control, stability control, and a host of riding modes. MOSPEADA also has a backup electric motor with a high-capacity battery charged by the turbine. This electric motor can power the wheels, giving the bike a "silent mode" perfect for reconnaissance duties and other missions where stealth is of the essence. 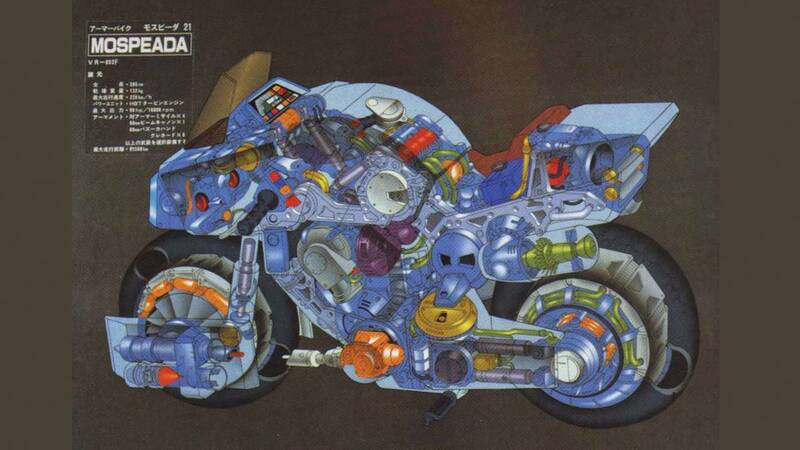 MOSPEADA's controls are primarily standard motorcycle controls with a few exceptions. The linked brakes are controlled by a right-hand grip and right pedal as normal. 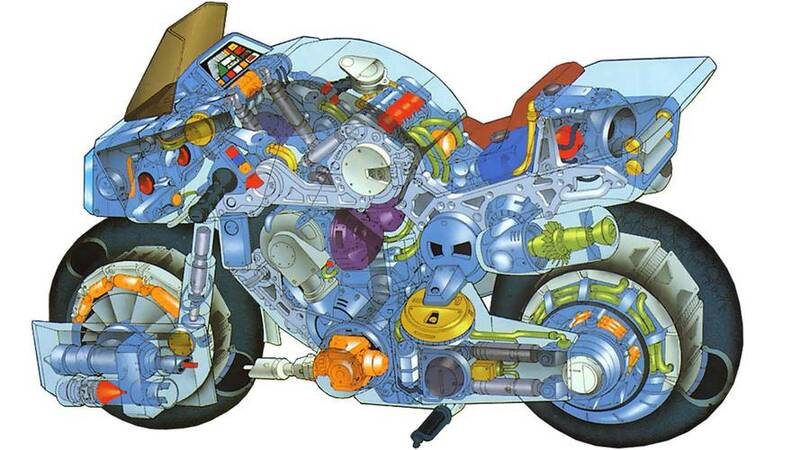 Due to the DCT, the bike has no clutch lever or shifter. 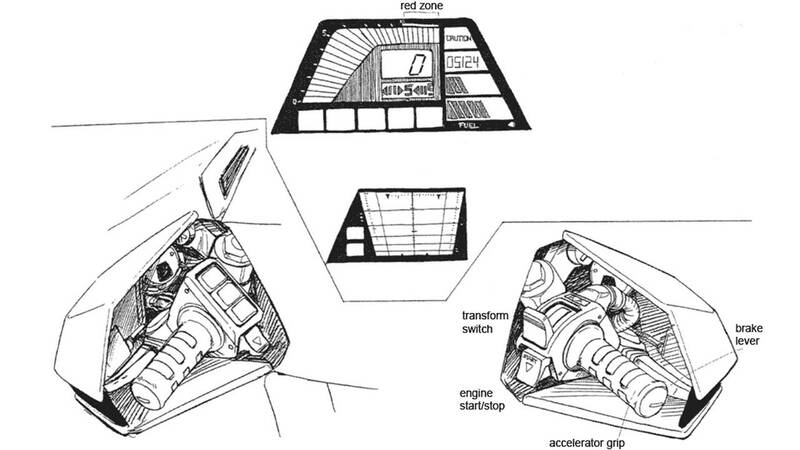 Instead, the transmission can be set in manual mode and shifted via a paddle on the left instrument cluster. Otherwise, the rider simply chooses the ride mode and lets the onboard computer do the work. Instrumentation and onboard system monitoring is handled by a multi-function TFT touchscreen. As if all this bleeding-edge techno-wizardry and eye-watering performance weren't enough, there are the MOSPEADA's amazing variable technology systems. 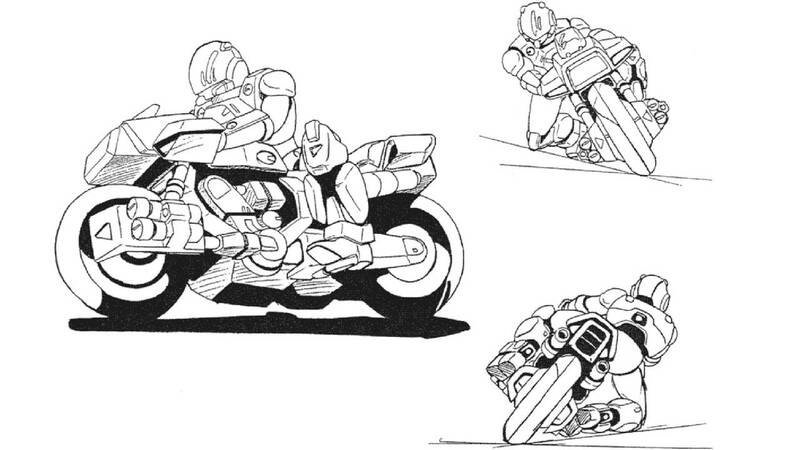 With just the flick of a switch, the motorcycle can change forms into a light powered exoskeleton. 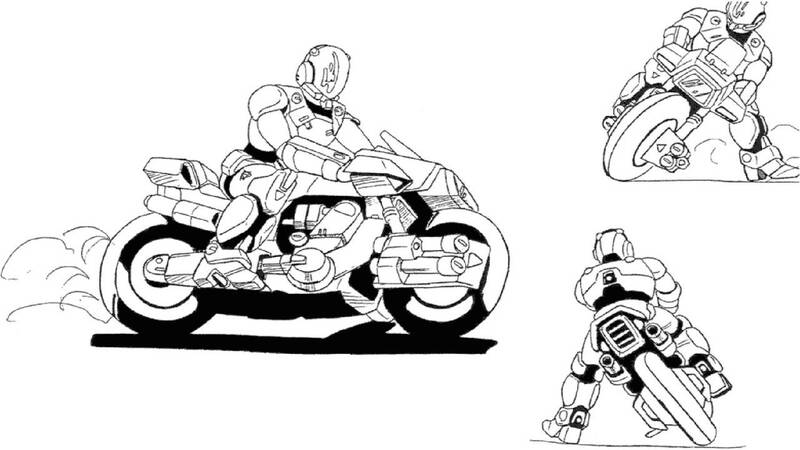 The exoskeleton integrates fully with the rider's armor and provides increased mobility, strength, endurance, and armor. 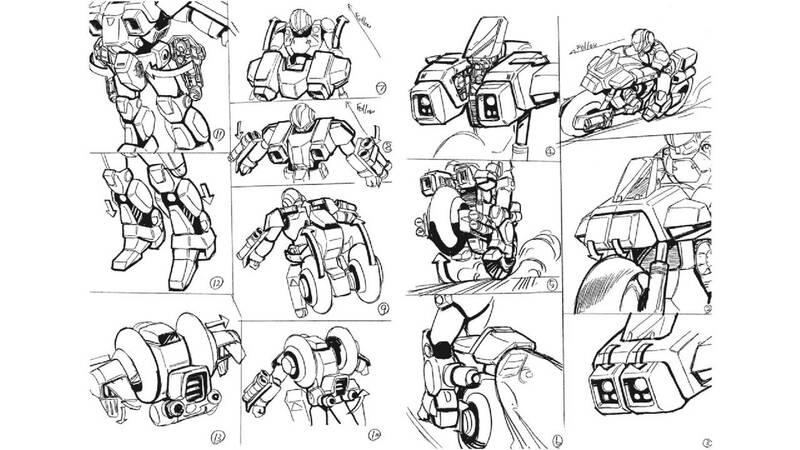 In exoskeleton mode MOSPEADA also features two shoulder-mounted vectored thrusters that allow the wearer/rider to leap incredible distances and even hover for short amounts of time. This capability increases an individual soldier's survival and combat efficacy exponentially and may lead the way to further developments in powered exoskeleton technology. The following short video was put together by AramakiTech to show MOSPEADA in a simulated combat situation. 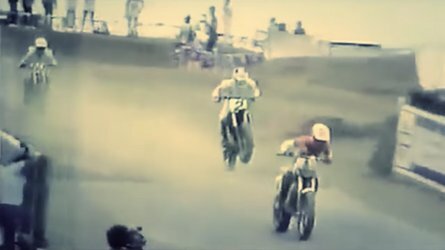 The riders are professional military and stunt riders, and these maneuvers should not be attempted by amateurs. The prototype shown at Intermot was, necessarily unarmed, but various renderings at the AramakiTech booth showed different versions of MOSPEADA—light infantry, scout/reconnaissance/spec-ops, etc.—armed with everything from rocket launchers, light anti-tank weapons, and heavy machineguns to experimental focused energy weapons. MOSPEADA currently has no government buyers, and the entire project is more a technical exercise to explore the future mobility technologies and materials science than something destined for the real world. Could it happen? Absolutely. Will it? Who knows? If we get our hands on a MOSPEADA you'll be the first to hear about it.